It’s been a while since my last update – two continents ago in fact – back in Kuala Lumpur. Since then I was back in Melbourne for 2 weeks, wrapping up loose ends from my old residency and catching up with family and friends. As I am now officially homeless in my own homeland, it appears the ideal time to expatriate for an extended period of time. I haven’t done this since my working holiday years in the UK and Ireland. This time instead of Europe, I will be based in Southeast Asia. To get back there, I am taking the long way around, which is how I find myself in Hawaii. There is a methodology to my going the long way around, apart from seeing some new places. 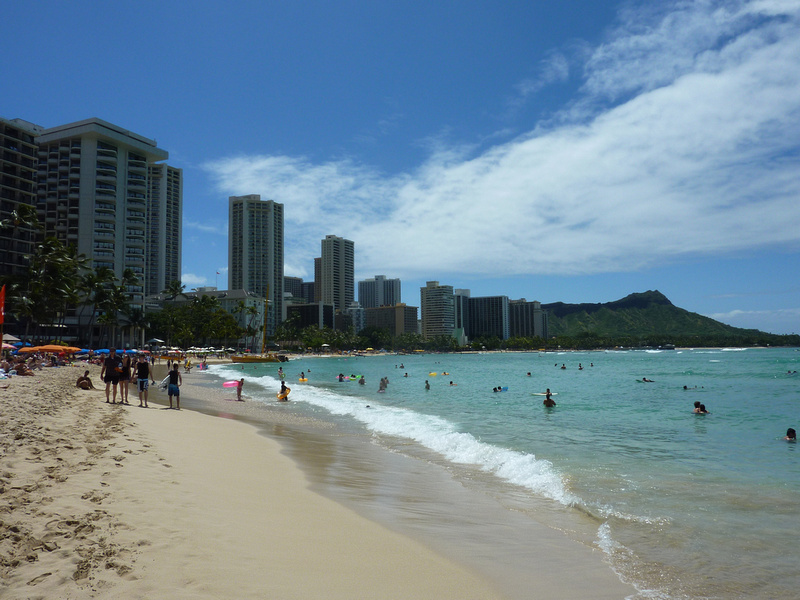 I am using Hawaii as a stepping stone to Vancouver, where I will attend the TBEX conference for travel bloggers (yep, they have conventions for everything these days). From there it is onto Seattle and Portland, and then a couple of months in Mexico. I will also be trying out living in Mexico, renting a room in an apartment for a month. Maui and I didn’t get off to a good start. I didn’t know what was wrong at first, but after chatting online to anyone who would listen, I was diagnosed with reverse culture shock. I didn’t think this would happen to me, as I had just come from two weeks in Melbourne and a week in Oahu. While I experienced sticker shock in Australia, I was too busy with catching up with friends to stop and think about it. Same in Oahu, where the welcome mat was rolled out by a friend of a friend and a wonderful hotel. My first day in Maui I finally had time to myself, and sticker shock and reverse culture shock finally set in. 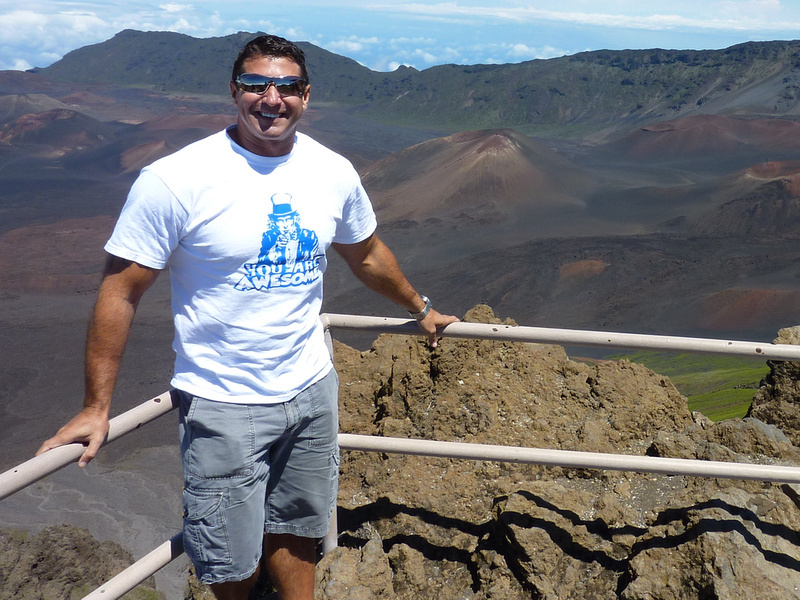 The thing with Maui is the towns are spread out and the public transport is limited to an infrequent bus system, so to really get around and see the highlights of the island you need to hire a car or buy an expensive minibus tour. It’s a rich mans paradise, and not very backpacker friendly. There are only a few hostels on the whole island, and I was staying in a place with not a whole lot to do and very few eating options. I had a terrible “Chinese” dinner on my first night, and I couldn’t help but think I’m over this. Where’s the sticky rice? I got to the point where was looking online to see if I could move my flight early a few days to Vancouver. Then a random meeting with a local got me out of my funk. I got chatting with this stranger, and after about 5 minutes he asked what I was up to tomorrow, and next thing you know he had volunteered to tour guide me around the island. 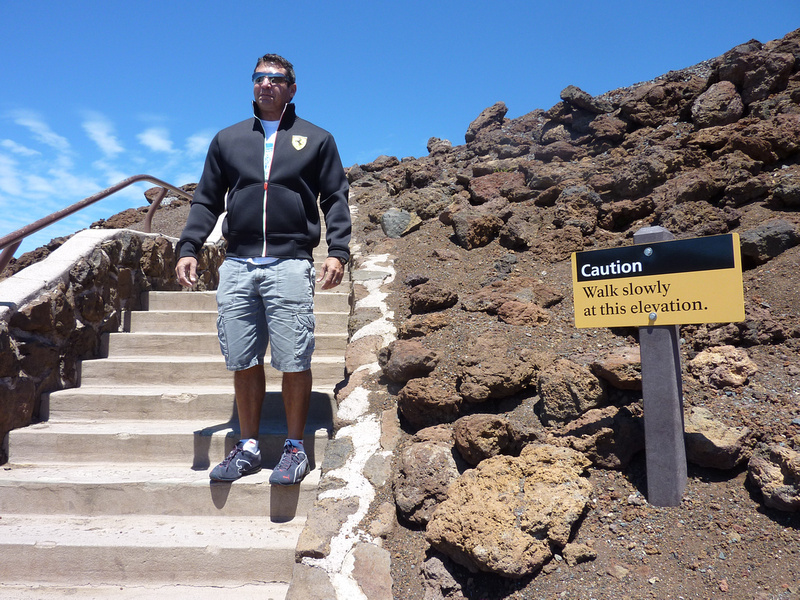 We went to Mt Haleakala, the 10,000 feet high dormant volcano which dominates the island. It wasn’t long into the drive that Maui started to reveal its beauty to me. 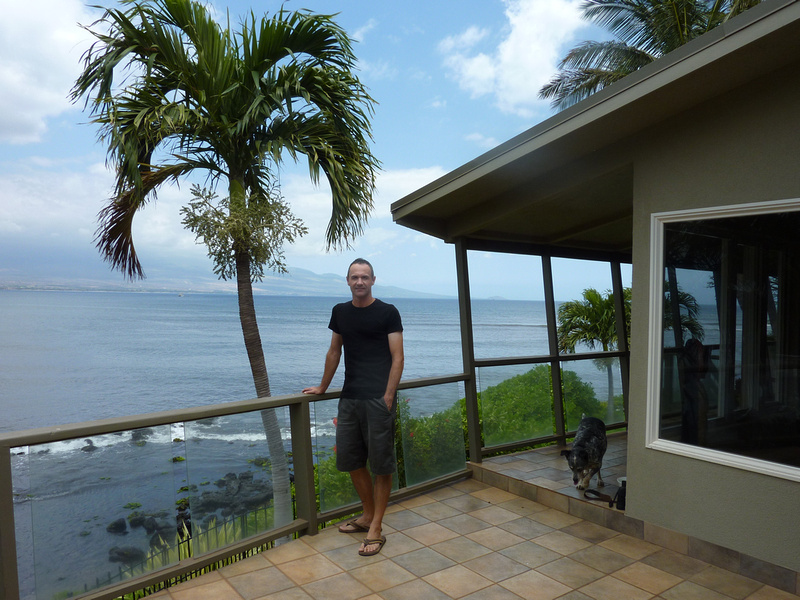 Jim moved from California 18 years ago and has been in love with Maui ever since. Hearing his passion for the island while seeing the natural beauty away from the towns lifted my spirits immensely. It was a win-win for both of us, as Jim hadn’t been up the volcano since he first moved out here. Waterfront Maui awesomeness! In the picture you see one of his dogs, an Australian Cattle Dog. It turns out Jim is an Aussiephile. He has been to Australia many times and loves all things Australian. Lucky me. As I am now homeless, it gets complicated when I get asked where I am from. I just say I am Australian, but if I get asked where I live, lately I have been saying Thailand. In another nice piece of synergy the day ended at a Thai restaurant with a bunch of his friends. Saying Sawasdee to the Thai staff and seeing and assorted Thai paraphernalia hanging from the walls put another spring in my already bouncy steps. I was telling the table of how much the price of these meals were in Thailand, to their gobsmacked amazement. Then – as usual with new people – I tried to explain my lifestyle of how I run a business while perpetually travelling around the world. I have really experienced over the top hospitality during my time in Hawaii, but it gets crazier. When I got dropped off at the hostel Jim said next time I’m in Maui I should stay at the spare room at his place. Wow. I didn’t think I would be back, but maybe I will. Either way, I can leave Maui happy that my relationship with the island has redeemed itself after our rocky start. So, thanks Jim, you are awesome! Been reading a while but like most, a lazy commenter. I’ve been homeless in my homeland now for almost 2 years, it’s weird but liberating and also really weird. When you get “sorta homesick” it’s a weird reminder that you don’t even really have a home anymore. Guess your home is where your heart is or friends or whatever. Hey Rob, thanks for dropping by. I just missed you this time around in Bangkok. I guess that makes us citizens of the world now – sovereign men. When I get “sorta homesick” it’s time to go back to Thailand for a while. That sounds like some good travel planning. Good luck!